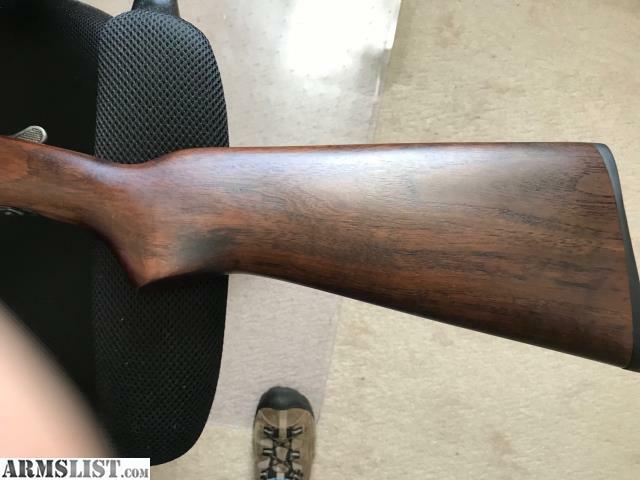 ARMSLIST - For Sale: Stevens .22/.410 exc. 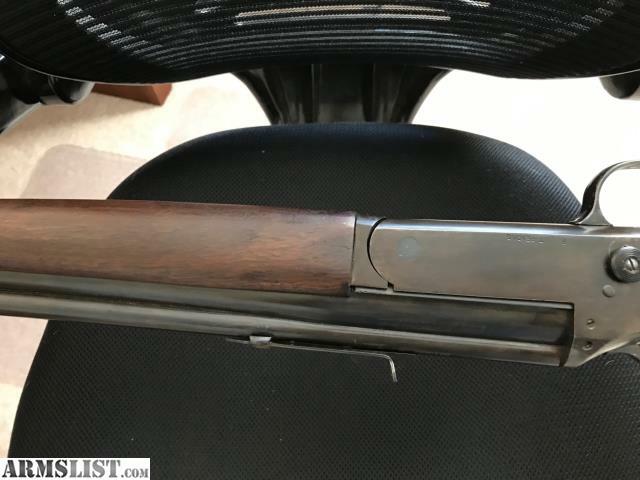 For Sale: Stevens .22/.410 exc. 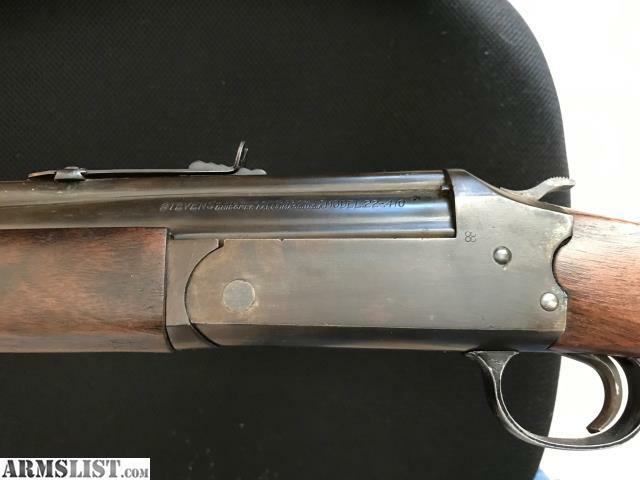 Stevens .22/.410 pre-serial, in excellent condition 95% - slight case color wear on reciever corners and paint loss on trigger guard. Wood stock is beautiful. smooth, shiny bores with good rifling on .22. From what I can find this is a pre-49 and in great shape, shootable solid, locks up tight. No negotiation and serious inquiries only!